Hello colleagues, its impressive post on the topic of educationand completely defined, keep it up all the time. had it not been for God in my life……..
Wow, brother Bryan, thankyou for this post, been following you/getting your emails for a year or so all the way to Bonnie Scotland in the UK, but didn’t know until now that we share the loss of a child. My son Aaron died at the age of 10 and a half months in 1990 as the result of a cot death, I think you call it crib death. . . . . Met the Lord Jesus on that day or rather He in His grace met me . . . Been walking a painful walk with Him ever since, trust Him only for full healing the other side of thegrave. . . .God bless you and your wife. . . . I wonder as well, why? Why did my brother have to be killed in roll over in his truck, as he was a good Christian man. Why couldn’t our Lord and Savior just put his hand out in order for my brothers truck to miss that telephone poll. We all have questions. But I too, continue to believe in the holy one and some day our questions will be answered. Our pain and suffering can not compare to the brutal beating Jesus suffered through for us all so that we may live with him forever. Believe and TRUST IN HIM. AMEN. DEAR BROTHER, OUR THOUGHTS AND PRAYERS ARE WITH YOU AND YOUR WIFE. OUR DAY OF OVERWHELMING GRIEF CAME LIKE A BOLT OUT OF THE BLUE ON 24th JULY 2010. OUR 35yr OLD SON, NING DIED SUDDENLY AND WITH NO WARNING. THIS CHILD OF OURS HAD GIVEN HIS LIFE TO THE LORD WHEN HE WAS 17yrs OLD. THIS CAME AFTER SUFFERING FROM YEARS OF RIDICULE IN HIS CHILDHOOD BECAUSE HE HAD TOURETTE’S SYNDROME AND WAS ALWAYS VERY SMALL FOR HIS AGE. HE DEALT WITH THIS BY BECOMING THE TOUGHEST BOY IN SCHOOL. HIS TEMPER EVENTUALLY BROUGHT HIM TO THE ATTENTION OF THE POLICE, AND IT WAS A CHRISTIAN OFFICER WHO LED HIM TO MAKE THE DECISION TO FOLLOW HIS SAVIOUR. 2 YEARS LATER, HE WAS SHOCKED WHEN HIS FRIENDS JOINED A LOYALIST PARAMILITARY ORGANISATION. HE WAS SO HURT AND DISAPPOINTED THAT HE SEEMED TO LOSE HIS WAY AND HIS FAITH. WHEN HE WAS 26yrs OLD, HE WAS APPROACHED BY MEMBERS OF THIS ORGANISATION WHO WANTED HIM TO JOIN THEM. WHEN HE REFUSED, HE WAS SHOT IN THE LEGS AS A PUNISHMENT. THIS NEVER STOPPED THEM WANTING TO RECRUIT HIM AND WHEN HE CONTINUED TO REFUSE, AN ATTEMPT WAS MADE ON HIS LIFE AND IT WAS AFTER THIS THAT HE WENT INTO HIDING. FOR 9 YEARS, HE LIVED IN TERROR OF BEING FOUND AND MOVED HOUSE CONSTANTLY UNTIL HE WAS APPROACHED BY THE POLICE AND ASKED TO GIVE A STATEMENT. AFTER MUCH SOUL SEARCHING, HE AGREED AND WAS TAKEN ONTO A WITNESS PROTECTION PROGRAMME. HE LEFT NORTHERN IRELAND IN MARCH 2010 AND WAS MOVED TO A SAFE HOUSE IN ENGLAND. THE LAST TIME WE WERE ALLOWED TO SEE HIM WAS THE DAY THE POLICE TOOK HIM AWAY AND THE LAST THING HE SAID BEFORE LEAVING WAS THAT HE HAD COME BACK TO THE LORD. WE WERE OVERJOYED AND IT MADE THE PAIN OF PARTING LESS PAINFUL. 4 MONTHS LATER, HE WAS GONE AND WE WERE DEVASTATED. WE WONDERED IF HE HAD TOLD US THAT HE HAD RETURNED TO GOD JUST TO TRY AND PUT OUR MINDS AT REST. THE LORD ANSWERED US SO POWERFULLY WHEN ONE OF HIS YOUNGER BROTHERS CAME ACROSS THE BIBLE NING HAD BOUGHT HIMSELF WHEN HE WAS FIRST SAVED. THIS BIBLE HADN’T BEEN SEEN FOR 16 YEARS. WHEN MY HUSBAND SPENT A NIGHT READING THROUGH PASSAGES NING HAD MARKED OUT, HE PRAYED FOR AN ANSWER TO THE MYSTERY OF NING’S LAST WORDS TO US. THOSE THREE WORDS LEAPT OUT AT MY HUSBAND AND WE SPENT THE REST OF THAT DAY PRAISING OUR SAVIOUR FOR HIS UNARGUABLE ANSWER TO OUR PRAYER. OUR SON’S NAME WAS NEVIN, BUT AS THAT WAS ALSO HIS DAD’S NAME, HE HAD BEEN CALLED ‘NING’ FROM THE DAY HE WAS BORN AND THE REASON FOR THAT PET NAME BECAME CLEAR ON 25th JULY 2010. ONE LAST THING IF YOU HAVE THE PATIENCE. THE FIRST TIME I WAS TAKEN TO MY SON’S GRAVE, I ALSO QUESTIONED THE WHYS AND WHEREFORES OF NING’S DEATH. I THOUGHT MY HEART WOULD BREAK ALL OVER AGAIN; THOUGHT I HAD CRIED ALL THE TEARS THAT WERE IN ME, BUT APPARENTLY NOT. AS WE WALKED AWAY FROM HIS GRAVE I SAW A HEADSTONE THAT WAS OBVIOUSLY A CHILD’S GRAVE. WHEN WE WENT OVER TO READ IT, THE BABY HAD BEEN STILLBORN, LIKE YOUR PRECIOUS ELIZABETH GRACE. THE LORD SHOWED ME THAT ALTHOUGH WE HAD LOST OUR BELOVED SON, YET WE HAD 35 GOOD YEARS, WITH MANY, MANY MEMORIES TO CHERISH. 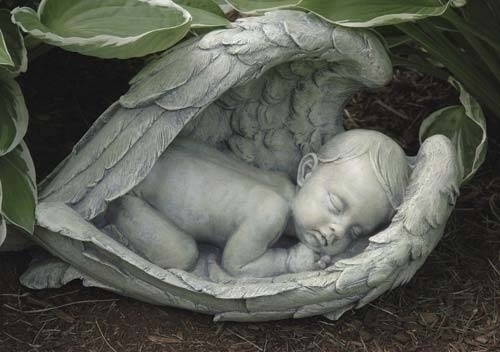 I WISHED THE PARENTS OF THAT BABY HAD BEEN THERE, I SO WANTED TO HUG THEM, BUT WE NOW PRAY FOR THEM EVERY DAY, AND WILL UNTIL THE LORD CALLS US HOME. HOW TRUE AND COMFORTING ARE YOUR WORDS CONCERNING YOUR FEELING OF GRIEF; COMFORTING BECAUSE WE KNOW THAT WE ARE NOT ALONE IN FEELING AS WE DO, BUT AS YOU SAID, GOD’S GRACE AND LOVE BRING US THROUGH, AND ALWAYS WILL. Your words are so comforting. Thank you for sharing the story of your son. God Bless You Both. How is grace like a kick in the head? It comes suddenly and without warning, and jolts you into what is real and true. I thought about grace in the life of CS Lewis when he describes his conversion as making him the most dejected convert in all of England. Grace comes as a surprise. It is not always as gentle and kind as we think it should be, nor is it soft and delicate. I think it is like grabbing a hold of a bare wire that has 220 volts. God’s grace is more like a lion than a house cat. I hope this explains my choice of metaphor. Thank you for your months of faithful readership as well. Thank you for replying. I think I get it. Before I returned to faith in Jesus, after 25 years without giving him a thought, at 50 I decided to try to find out if there was a true religion. I had been Christian until abou 25 when I just walked away. As I began to read a comparative religion text book and studying Hinduism, I didn’t get very far before the strong thought hit me: Why don’t you just get a Bible and only read the red. I began to read the red. As I read I understood more of the text than I can ever remember understanding before. I began to pray to our God. And prayers (every one of them!) were answered. Miracles! Before I was through Matthew reading the red, I had started reading all of the text. When I got through the end of Revelation and thought of starting Genesis, I thought, “Why, God, what’s in the Old Testament exept a bunch of begats and begets?” And in the first book, I began to realize that the people of the Bible were exactly like me. Like us. I used to think they were different, closer to God, after all, they talked to him. But when I read how they named their babies with the same names in different generations, just as we have our favorite baby names in each generation, I realized they were just humans, sinful humans, like we are. So I began a Bible and prayer diary. I requested. God taught me. Himself. I started out looking for him. He grabbed me and pulled me to his heart so hard and so fast I might have had a whiplash. I think that may be the grace you’re speaking of. I find real gems in your posts. Absolutely they are from my Lord.